Do not use government programs as election propaganda, the Department of the Interior and Local Government (DILG) ordered local and national candidates. 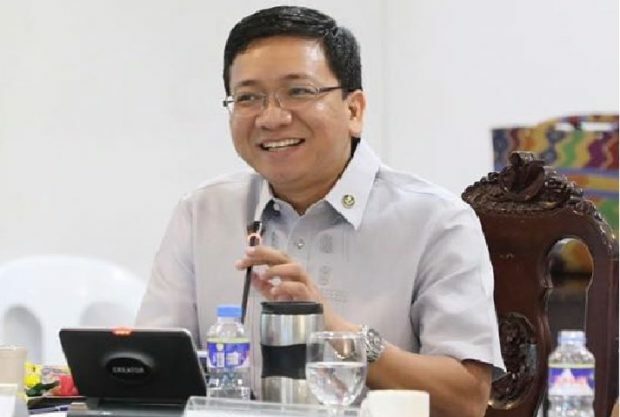 The post Do not use gov’t programs, activities in election campaign — DILG appeared first on Inquirer News. Senator Gatchalian called on the Comelec to coordinate with the Education Department regarding the honoraria of teachers in the May polls. The post Ensure teachers’ honoraria, Garchalian tells Comelec appeared first on Inquirer News. President Rodrigo Duterte accused senatorial candidate Florin Hilbay of being gay as he said God made a mistake when he created him. The post Duterte: God made a mistake, Hilbay is gay appeared first on Inquirer News. TACLOBAN CITY — Senatorial aspirant and Ilocos Norte Gov. Imee Marcos ‘pleaded’ with the media entities not to demand what she called ‘outrageous’ advertisement ads. The post Imee Marcos laments high cost of political ads appeared first on Inquirer News. Former Special Assistant to the President and 2019 senatorial candidate Christopher Lawrence “Bong” Go visits Negros Occidental for proclamation rally. The post Bong Go vows positive change in countryside appeared first on Inquirer News. The National Confederation of Transportworkers’ Union (NCTU) has endorsed the reelection bid of opposition Senator Bam Aquino. The post Transport group backs Bam Aquino’s senatorial bid appeared first on Inquirer News. Senator Cynthia Villar said the presidency was part of someone’s “destiny” and she would not waste her time planning for it. The post Cynthia Villar: The presidency is ‘destiny’ appeared first on Inquirer News. CITY OF CALAPAN — Four people, including a village chief, were allegedly kidnapped by members of the New People’s Army (NPA) in Bansud town in Oriental Mindoro province Friday night, police said in a report Saturday. The post NPA rebels ‘abduct’ village chief, 3 others, in Oriental Mindoro appeared first on Inquirer News.